Our Greek tours are popular with Christians of all backgrounds and interests. Tour the modern cities of Athens and Thessaloniki and see their many layers of history, while learn the secrets of the ancient cities of Philippi and Pella, birthplace of Alexander the Great. 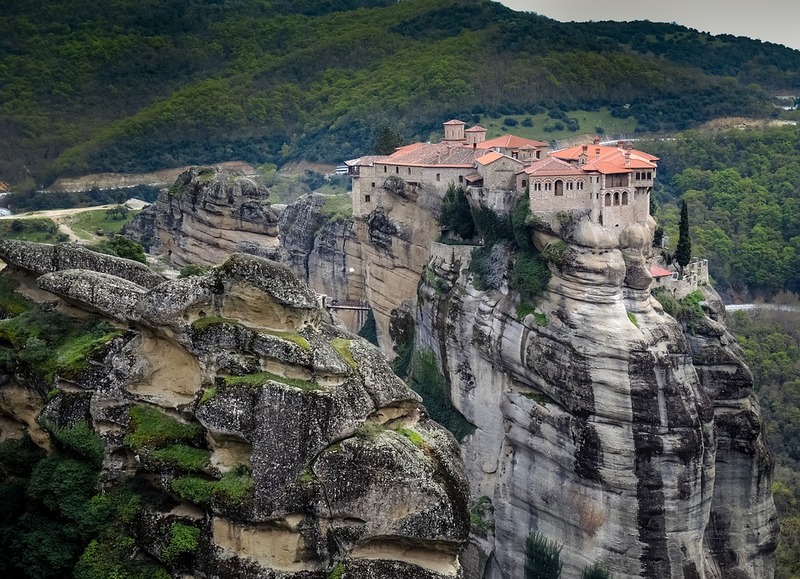 Centers of historic and contemporary Greek Orthodox monasticism such as Meteora and Mount Athos, the famed “monastic republic” accessible only to men, will be of interest to anyone who wishes to discover the timeless beauty of the Orthodox faith. Tours to the Greek Islands are also possible, including to Mykonos, Patmos, the beautiful island of Santorini, made famous by the film, as well as extensions to Turkey to discover the famed city of Istanbul, once the great Byzantine capitol of Constantinople, home to the world-renowned Haghia Sophia, the Blue Mosque and the Grand Bazaar, the House of the Virgin Mary near the ancient city of Ephesus, the archaeological heritage and landscape of Cappadocia, and the Church of Saint Nicholas in Demre. We also offer specialized tours for Orthodox pilgrims, and can assist with logistical arrangements for visits to specific monasteries for both men and women. Good Shepherd Tours are custom-made for each pilgrimage tour organizer to ensure that every program meets their needs and interest. We are capable of designing programs that combine our many locations across Europe, Ireland & Scotland, the Mediterranean and the Middle East to fit interests, themes and budgets. All good Shepherd Tours are all-inclusive programs that include airfare, accommodation, transportation, guided tours, and meals (with occasional lunches and dinners taken individually during periods of free time). Other tours in Europe, the UK, Europe and the Mediterranean region are possible. Contact us with your inquiry.